In preparation for our upcoming #ds106radio #noir106 radio show about Fatal Femmes, I managed to get three old commercials I did way back in the day converted from analogue to digital files so that I could share them with our team. The commercials were done for an old friend, Kenny, who ran a wonderful service agency known fondly as Kenny’s Carpets, Caskets, and Cars. The files are now posted to my Soundcloud, and are embedded here for your listening enjoyment and pleasure. Sadly, Kenny met an untimely demise not too long after I moved away. Fortunately, he had left his own brown envelope in his safe, and things were dealt with just as he would have wanted. Fonts used in the Kenny’s Carpets, Caskets and Cars album covers include Lithos Pro and Betty Noir by Blambot on dafont.com. When you need to make a quick getaway, you need a Friend you can count on. And have I got a friend for you! Stop by and see Kenny at Kennys Carpets, Caskets, and Cars. He can hook you up with whatever you need to deal with unexpected emergencies. If you are doing a runner, on the lam, making a getaway, or just off for a quiet weekend in the countryside, Kenny can set you up with wheels that can suit your budget. From speedy sportsters to inconspicuous passenger cars or sturdy cargo haulers for those big jobs, Kenny has what you need. And everything is available within 24 hours or less with duress arrangements and no term financing. Special payments may apply. Contact Kenny at Kenny’s Carpets, Caskets and Cars. Don’t spin your tires when you need to be on the move. And be sure to tell Kenny that Tina sent you! When that final day comes, and it’s time to say good bye to your special colleague or friend, it’s good to know that your loved one will be cared for in and in good hands. At Kenny’s Carpets, Caskets and Cars, you can select from a fine range of comfortable and reasonably priced products ranging from brilliantly polished mahogany through delicately engraved brazillian rainforest woods, or our fine line of reconstituted North American soft pressboards. Should the need arise, Kenny’s can also provide a 100 year guarantee on all concrete products for the discriminating buyer. Kenny will also ship urns, no questions asked, back to the old country through his special courier. Don’t leave your special friend lying out in the gutter as the rain falls through the midnight hours. Call Kenny’s for his discrete round-the-clock recovery service, featuring a plain unmarked panel van and respectfully dressed attendants. 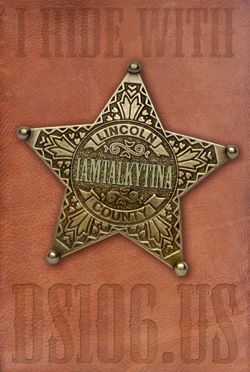 Kenny’s family-owned business prides itself in its tradition of exercising extreme discretion. 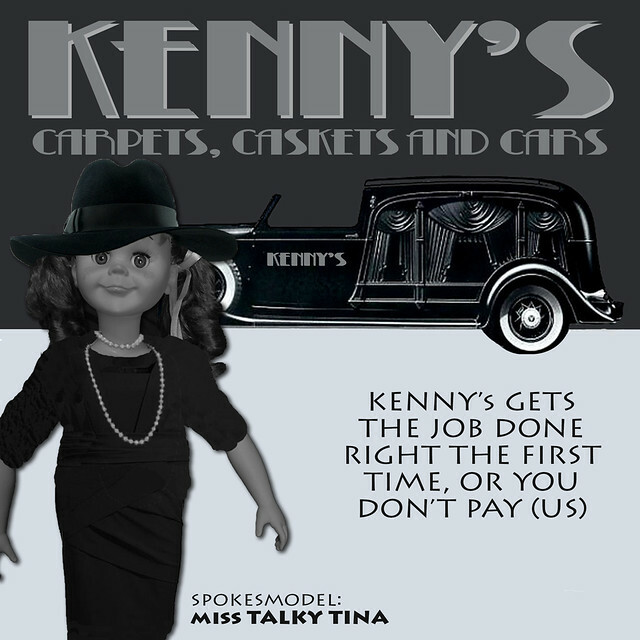 Kenny’s Carpets, Caskets, and Cars will be there for you too, when your day finally arrives. Kenny’s prides themselves on their sealed brown envelope service, where you can make your final details known, confident that they will only be opened in the event of your passing, be it intended or otherwise. Contact Kenny’s Carpets, Caskets, and Cars to make your arrangements today. Rush orders available on request. Special payment arrangements may be required. Also inquire about our post-event clean-up and sanitizing services. Kenny’s Carpets, Caskets and Cars — we’re here for you when you need us — even after you are gone. And be sure to tell Kenny that Tina sent you. Are you worried about the carpeting in your home, hotel, or place of business? At Kenny’s Carpets, Caskets and Cars, we take care of all your concerns in our one-stop drop-by-and-shop warehouse. We carry products by all leading domestic and foreign manufacturers, featuring any number of non-slip, smooth-and-trip, easy clean, stain free, mildew resistant, blood and vomit repelling, easily-rolled and quickly-removed product lines, solving any and all floor covering problems that you may encounter in your workplace or residence. If you are faced with infestations of pests, mold-or-mildew, black-rot, pungent, offensive socially repulsive odours or fumes, our trained removal teams can have your old carpets or stair runners removed and replace, usually within 24 hours (weekends included at a slight surcharge). We can pattern match your existing carpet or tiles, replacing sections or the entire floor with an exact duplicate so no one will be the wiser. Our bag and bin it service is available 24/7, with disposal certainty via our patented hygienic and secure incinerator. We offer convenient invoicing by square foot, pound, or a one time flat rate fee. Contact us at any hour for your special needs. Kenny’s Carpets, Caskets, and Cars is a family-own business that is proud to provide service to our select clientele. Become a Kenny’s client today! This entry was posted in Audio, ds106, friends, noir106 and tagged Addicted to Black, antique-hearse.png, churchofhalloween.com, Creative Commons, ds106, EP, Faster Does It, incompetech.com, Kenny's Carpets Caskets and Cars, Kevin MacLeod, Night on the Docks - Sax, noir106, Soundcloud, The Cover Ups, The Final Rest, The Getaway, Walking Along on March 7, 2015 by iamTalkyTina.